Sky Cubacub, Rebirth Garments, 2015 - 2018. 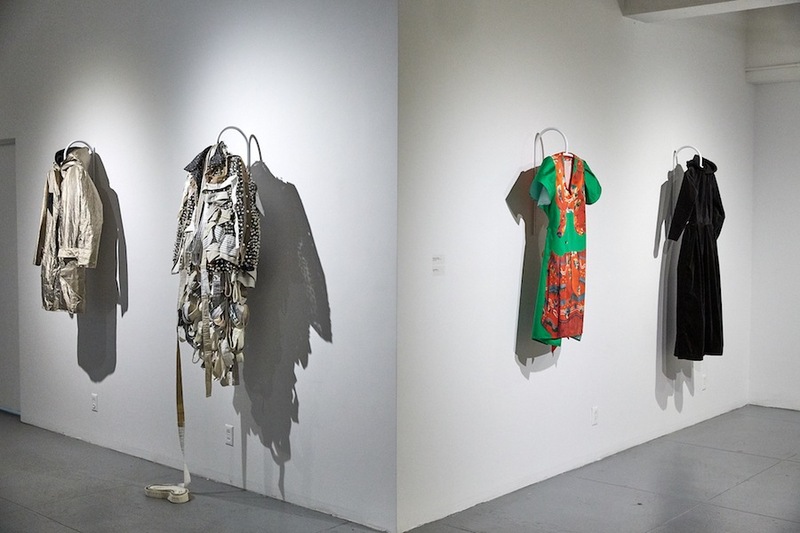 (Left) Sky Cubacub, Rebirth Garments, 2015 - 2018 (Right) Fawn Krieger, OUTFIT, 2016 - 2017. Fawn Krieger, OUTFIT, 2016 - 2017. 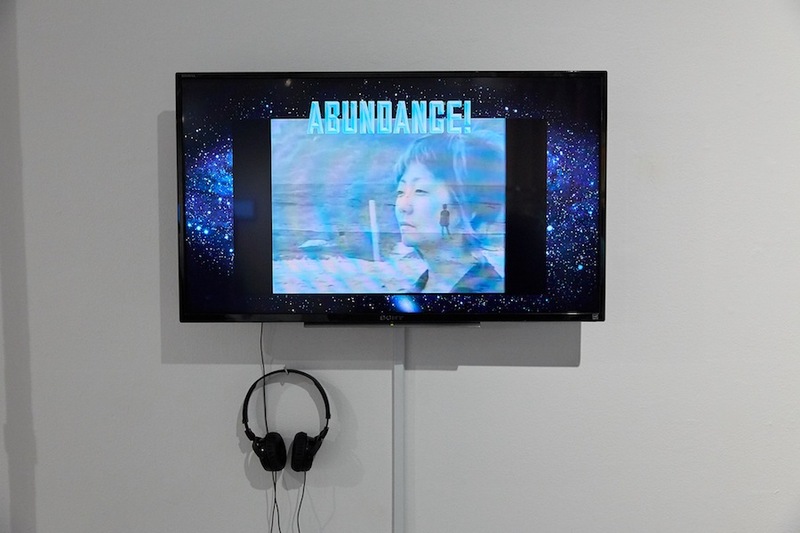 (Left) Jennifer Moon, Revolutionizing Revolution, 2014 (Right) Jennifer Moon, The Mooniform, 2018. Andrea Zittel, Personal Panel Uniform, 1994. Carmen Argote, Place on Fold, 2017. (Left-Right) Nick Cave, Abigail Glaum-Lathbury, Marisa Williamson, Elaine Byrne. (Left-Right) Project KOVR, Nick Cave, Abigail Glaum-Lathbury, Marisa Williamson. (Left) Abigail Glaum-Lathbury, Genuine Unauthorized Clothing Clone Institute (G.U.C.C.I) 2017 - (Right) Marisa Williamson, Black Dress / Silhouette II, 2016. Marisa Williamson, Black Dress / Silhouette II, 2016. Elaine Byrne, Three Shillings Four Pence, 2018. 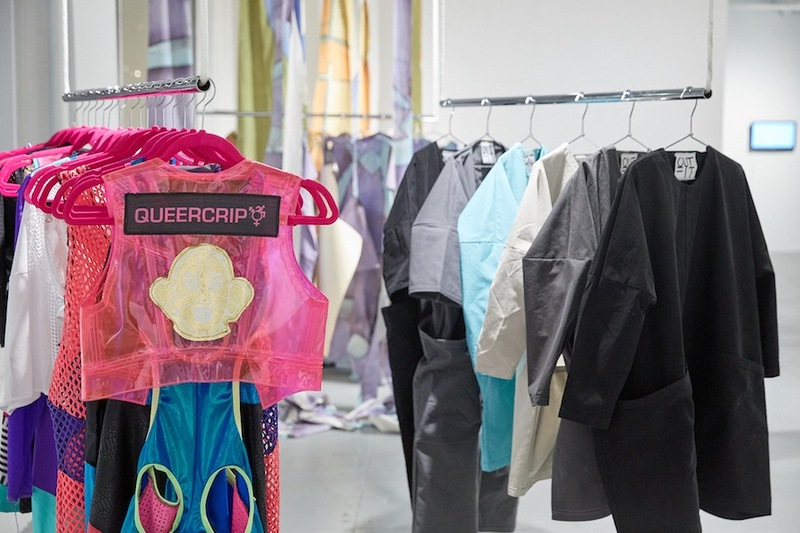 (Left) Project KOVR, Anti-Surveillance Coat, 2016. (Right) Nick Cave, Coat with Adaptive Embellishment, 2009. Nick Cave, Coat with Adaptive Embellishment, 2009. (Front Left) Ruby Hotte, Conversation Pieces, 2018 (Front Right) Frau Fiber, Transformational Soviet Hippie Poncho Knockoff, 2017. 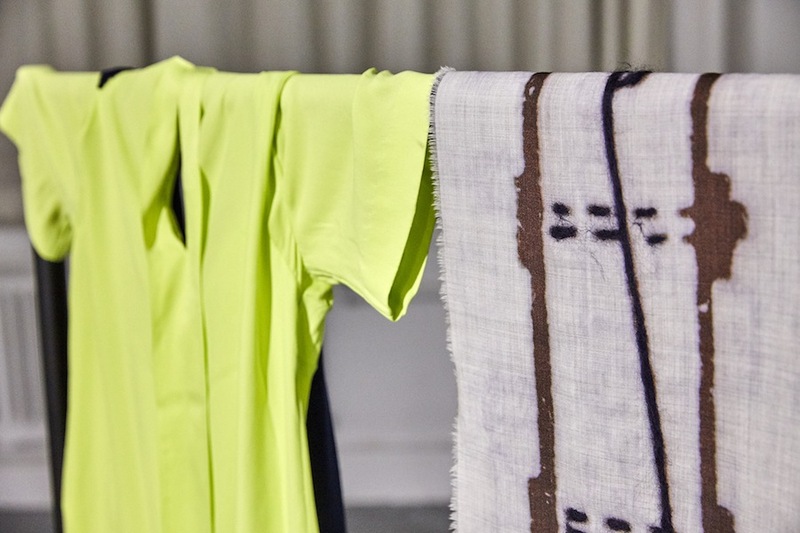 (Left) Ruby Hotte, Conversation Pieces, 2018 (Right) Friends of Light, Jacket, with light series, 2016. Ruby Hotte, Conversation Pieces, 2018. Friends of Light, Jacket, with light series, 2016. Frau Fiber, Transformational Soviet Hippie Poncho Knockoff, 2017. (Left) Marloes ten Bhömer, Women in Various States, 2012. Marloes ten Bhömer, A Measurable Factor Sets the Condtions of its Operation, 2013. 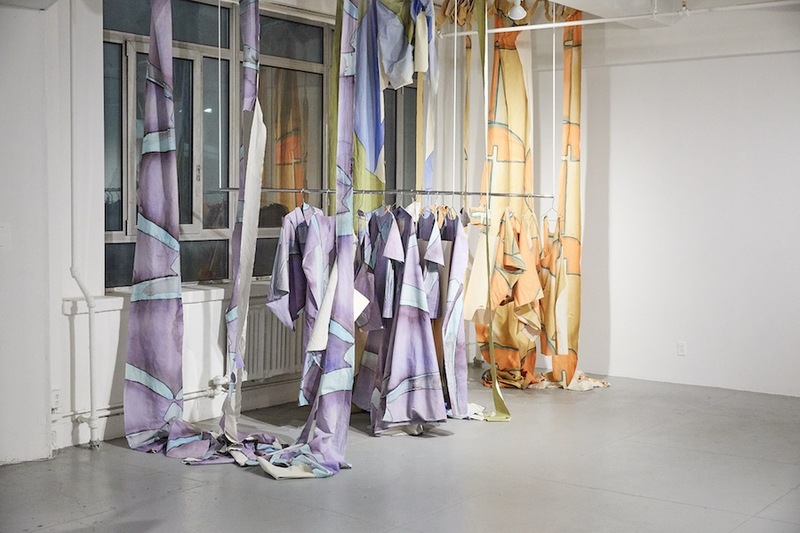 Marloes ten Bhömer, Material Compulsion, 2013. Marloes ten Bhömer, Annabelle, Barbara, Becky, Alexis, Krystle, Ellen, Olive, Eve, and Kirsten, not stumbling, sliding, sinking, falling, or oblivious, 2014. 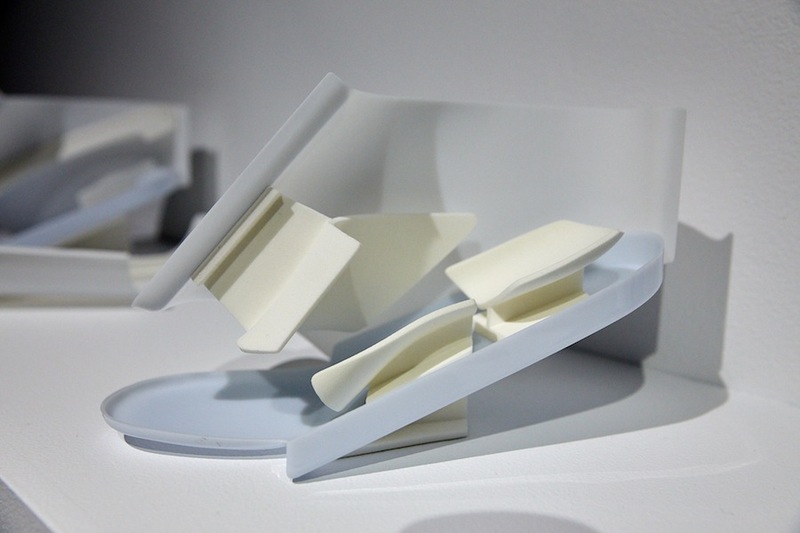 Marloes ten Bhömer, White Prototypes, 2013. 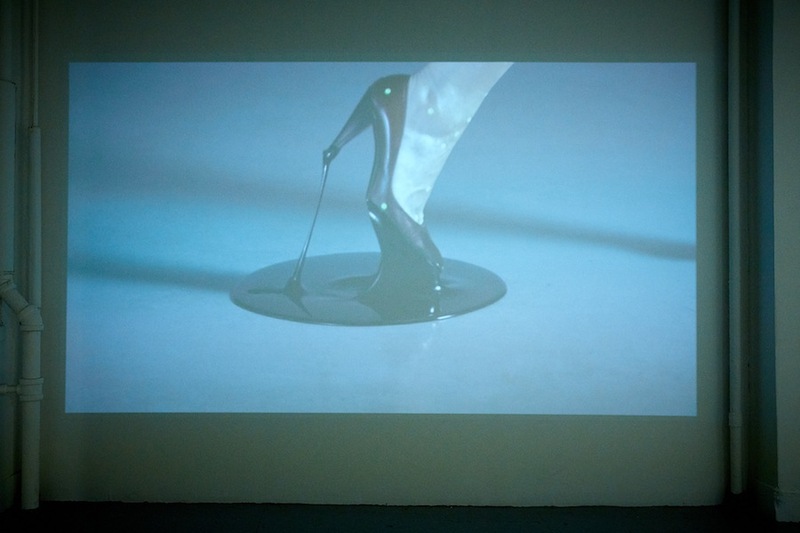 Marloes ten Bhömer, Bluepanelshoe, 2015. 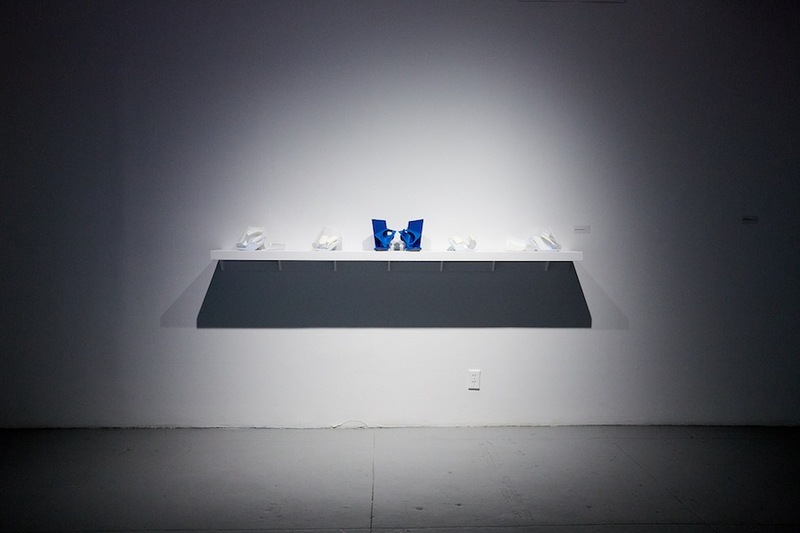 Marloes ten Bhömer, White Prototypes, 2013 - Bluepanelshoe, 2015. Since the birth of fashion in the 19th century, counter-fashion—the practice of dressing to signal political solidarity—has been a site for critical intervention and utopian experimentation amongst activists, artists, and designers. Fashion is often mobilized to effect political change in moments of unrest. 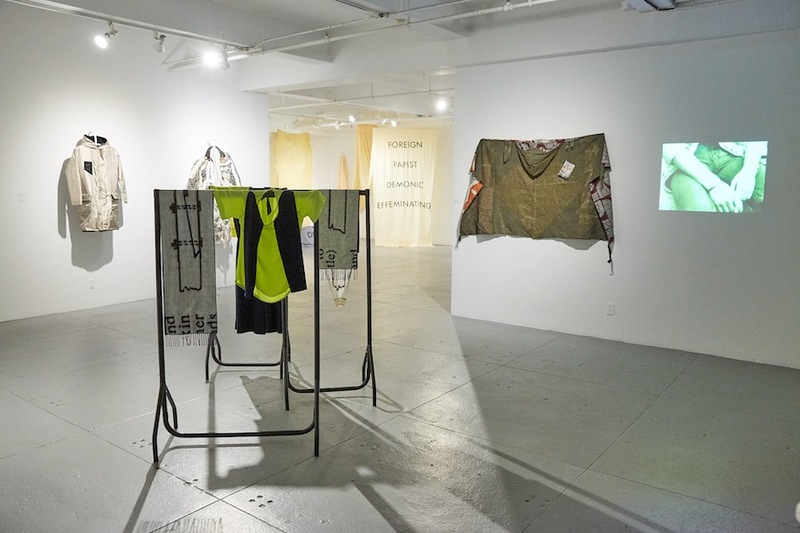 Omega, the last letter of the Greek alphabet, continues this tradition, suggesting clothing for “end times.” In Omega Workshop, our clothes are reconceived as an act of resistance in dark times—a collective reimagining of our relationship to dress. 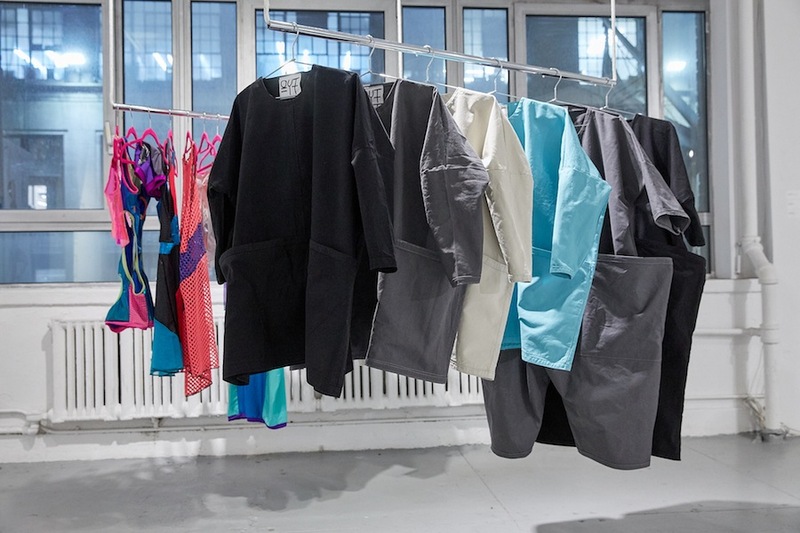 For Omega Workshop, the members of the Rational Dress Society bring together artists, designers and activists who mobilize the language of clothing to critique the existing fashion system and offer alternatives. The exhibition will function as an archive and a laboratory, intended both as a tool to spur the production of future counter-fashion, and a resource for artists and designers interested in pursuing alternative dress. 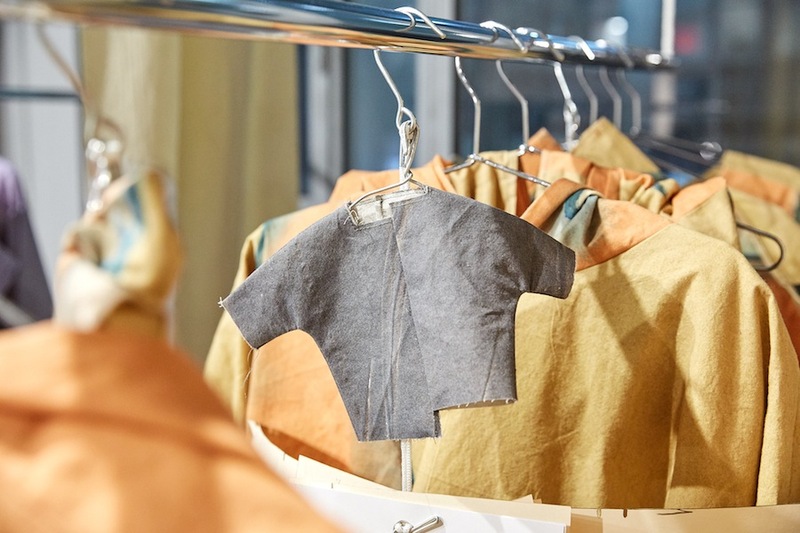 The run of Omega Workshop coincides with New York Fashion Week, offering a necessary counterpoint to the consumer-driven spectacle of the fast fashion in New York’s historical (and diminishing) Garment District. Press inquiries: contact Meghana Karnik, Program Manager at meghana@efanyc.org or (212) 563 - 5855 x 229. EFA Project Space, 323 W. 39th Street, 2nd floor, Manhattan. Omega Workshop is sponsored by The Garment District Alliance, School of the Art Institute of Chicago, and GESSO.